Today, I will give you the brief introduction of it, hope you can like the article. 1. Multiple Choices of Audio/Video Formats. WonderFox’s team focuses on giving people convenience thus the HD video converter factory pro has always been updated. The newest version 14 supports more than 150 output formats including MKV, AVI, WMV, MP4 and some devices such as iPhone X, Samsung Galaxy Note 8 etc. Meanwhile, it can convert videos to audios that also have numerous output formats. 2. 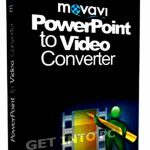 Performs conversion in high-definition quality. 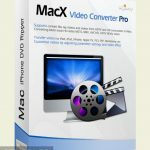 HD Video Converter Factory Pro converts video with the hi-definition but the littlest size. The hd ranges from 480p to 4k(UHD), which you may choose by yourself. It absolutely guarantees the video that’s appropriate aspect ratio and comfortable color. It can reduce video size without losing quality. 3. It also has outstanding 5X Compression Rate. 4. 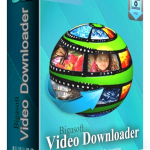 Download any audio or video from websites such as facebook, Vimeo, youtube. 5. Extract audio/subtitles from video. 6. A Real Time Saver- 50X Faster Video Conversion Speed. 7. Clip, crop videos and rotate videos. You can use the software with easy operation as following. Step 1, Download the software from below: install and run it on your PC. Step 2, Open it and choose the functions you want, such as “Add files” “Download Video” “Upload”. For example, you can convert m4r to mp3, choose the video with m4r formats and choose MP3 as output format. Step 3, Choose the output format and then click “RUN” button. The conversion is finished at last. Each thing has two sides, WonderFox HD video converter factory pro has pros and cons, the WonderFox team has always fixed the problems. Hope you can like the software and the review. Thanks.